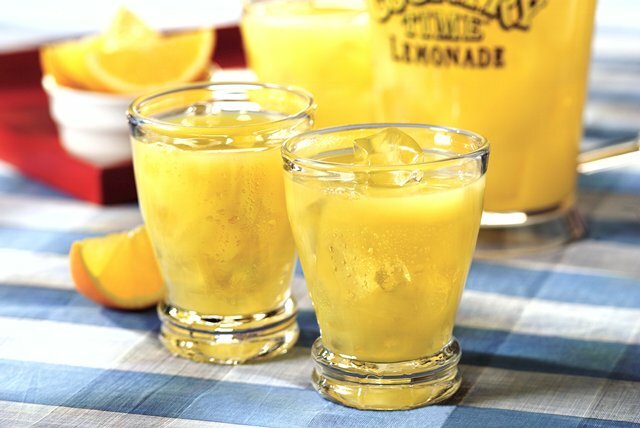 This delicious Healthy Living beverage is a refreshing blend of OJ and lemonade—and it can be ready to enjoy in just minutes. Place drink mix in large plastic or glass pitcher. Add water; stir until drink mix is dissolved. Stir in orange juice; cover. Refrigerate until ready to serve. Serve over ice cubes in 8 tall glasses. Prepare drink as directed. Pour some of the prepared drink into ice cube trays; freeze until solid. Serve the remaining prepared drink over the flavored cubes to keep the drink from becoming diluted.